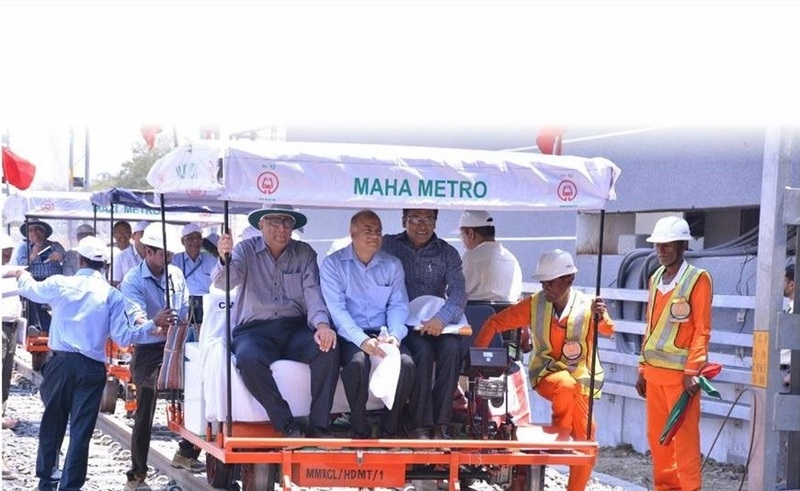 Nagpur: The Maharashtra Metro Rail Corporation Ltd. (Maha-Metro) has announced on Wednesday that they have received first safety clearance from Commissioner of Metro Rail Safety (CMRS) after their two days inspection of 5 km section at-grade level from Khapri to South Airport. The Nagpur Metro is likely to start its first commercial run on a 14-km stretch between Khapri and Sitabuldi in March next year. MahaMetro Managing Director Brijesh Dixit said that with the first certificate of safety having being issued, “at-grade (ground level)”, for a 5-km section from Khapri to South airport, “way has been paved for the first commercial ride in March 2019”. “We are planning to start a pre-launch free ride for the under-privileged, like those who are differently-abled, senior citizens and the homeless, on demand at the at-grade section. Three stations on the stretch have already been completed. The stations, Khapri, New Airport and Airport South, have already received platinum rating from the Indian Green Building Council,” Dixit said. 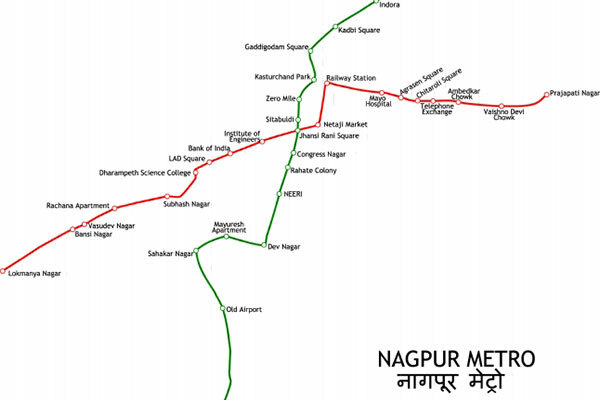 The Nagpur Metro, covering a total of around 40 km between the two corridors, North-South and East-West, would have 41 stations. Many of them are being developed based on themes, like tiger, forest, tribal and aqua, with the buildings’ facades depicting them. The Nagpur Metro will have many unique features, like two stretches of double-decker sections – 3.5 km Airport to Ajni, and 5.3 km LIC Square to Automotive Square. These would have the NH7 below and the metro track running above it. In the latter section, four decks would run, one above each other, at one point on Kamptee Road, where a railway bridge passes above the existing highway stretch. The metro proposes to draw 65 per cent of its power from a solar plant to be specially erected solely for the purpose. Two towers, at least 20 storeys each, are slated to come up in Sitabuldi area with metro offering it to private developers on BOT (build operate transfer)basis. Congratulations for the CMRS clearance for the Nagpur Metro Team. Congratulations for getting clearance.Also please to learn that non fare source of leasing out land along the track is a welcome step. Maharashtra Government deserves praise for granting double FSI for land development.